Presented by the Reverend Greville J. Chester, 1892. 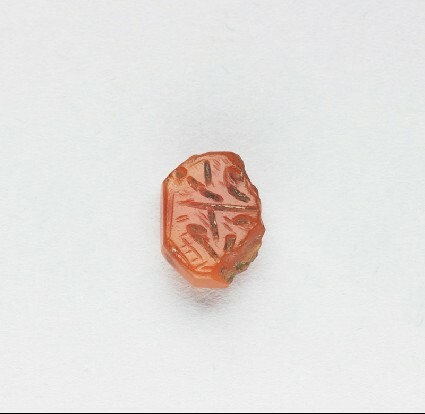 Cornelian; bezel, unbevelled; rectangular with cut angles; slightly broken. Two lines of cursive script (nasta`līq), with dots, separated by a straight line. There are some simple strokes spread over the ground. One line follows the shape of the gem.